Had a good weekend, even if I was a bit lazy. My excuse is that Jim’s stuff is still in the way (he hasn’t fully unpacked yet), so I couldn't hoover. And there were no polishing cloths so I couldn’t do that either. 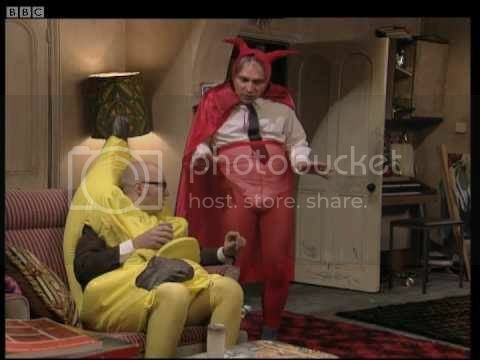 Oh well, I’ll just put my feet up and watch the entire 3 series of Bottom instead. I’m still gutted Rik Mayall is dead. I have decided that me and Bee are dressing up like this on Halloween. Yesterday my mum and dad had their usual weekly barbecue. Apparently I was a bit quiet – probably due to tiredness (although I don’t know how on a 10-11 hour sleep the night before) and thinking about Spain. Those lot would have been having their weekly ‘Arts Appreciation Society’ round the Bar Almazara. ‘Arts Appreciation Society’ transalates as ‘get sozzled, have some fun and sometimes cause mischief’. Well anyway, I don’t want to spiral into the miserable moaner I became before my holiday to Spain, so I thought I would try and focus on the things that make me happy instead of everything that winds me up. 100 Happy Days should be a good way to do that, don’t you think? 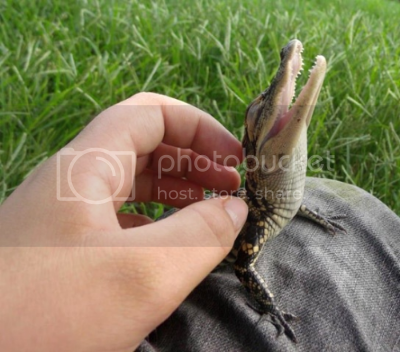 Let's start off the happiness goal with Buzzfeed's 50 Happiest Animals.